A chef deftly chops red onion for an innovative strawberry pico de gallo recipe as an apron-clad young man works alongside. Could it be a trendy new restaurant? Perhaps a Cordon Bleu class? 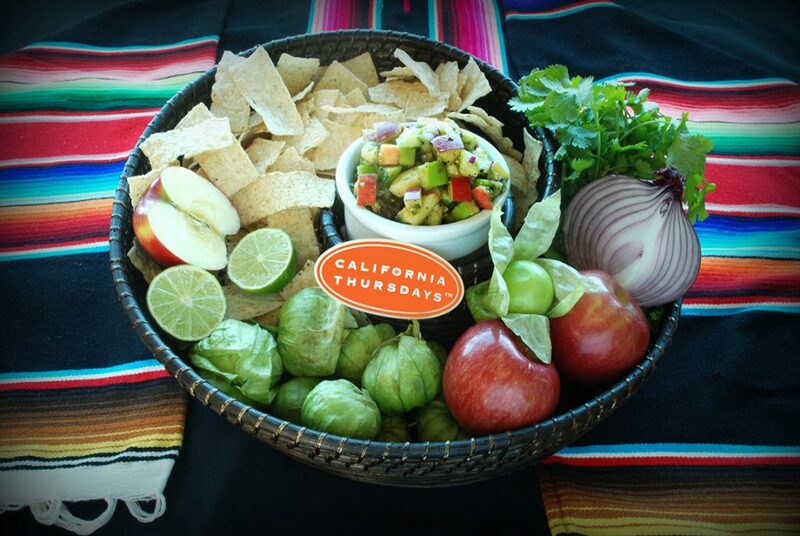 California Thursdays is a collaboration between the nonprofit Center for Ecoliteracy and a network of public school districts committed to serving meals that are freshly prepared and made with California-grown food. The network encompasses 71 districts, with 2,900 schools and 1.85 million students, that collectively serve over 311 million school meals annually, about one third of the California total. 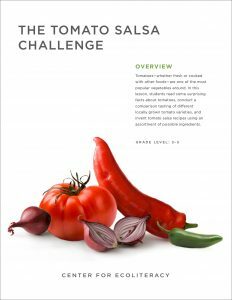 The statewide salsa challenge, timed with the release of three produce-oriented lessons created by the Center for Ecoliteracy, exemplifies the collective impact of the California Thursdays Network. It also demonstrates that food and food systems can be at the heart of schooling for sustainability. Learning where food comes from and how it reaches the table is of vital importance to generations of children increasingly removed from agriculture and suffering from the twin public health scourges of obesity and food insecurity. Barlow is leading the development of the “Abundant California” suite of free lessons, working with curriculum experts and educators. The suite is geared for upper-elementary grades, although the hands-on activities clearly resonate with older students and adult staff as well. Tasty evidence supports their assessments. Another unique and winning salsa from Manteca Unified School District, made with fire-roasted tomatillos from a school garden, exemplifies the diversity and creativity inspired by the challenge. 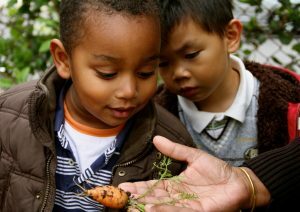 The Center for Ecoliteracy is a pioneer in what has become known as the farm to school movement. In 1998, the Center convened 17 community-based organizations in Berkeley for a three-year grant from the new U.S. Department of Agriculture Community Food Security program. 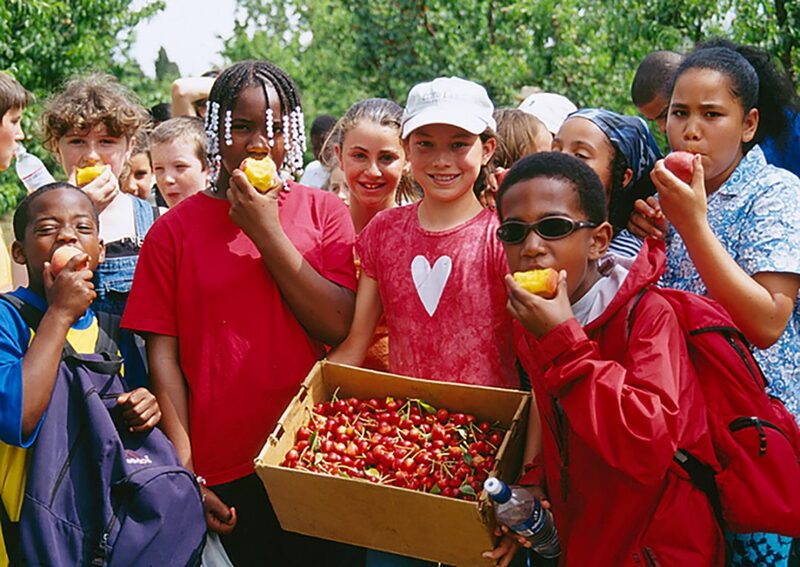 The resulting Food Systems Project catalyzed the first school food policy in the nation. Its Model Wellness Policy Guide is still in use. 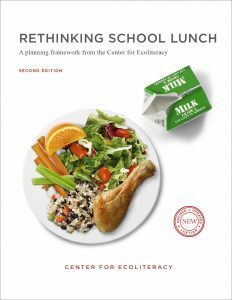 Applying a systems approach to the complexities of improving school meals, the Center authored the Rethinking School Lunch (RSL) guide and planning framework. RSL identifies ten interrelated aspects of school food systems – from procurement to facilities, from the dining experience to finances to professional development to marketing and communications. It recognizes that change can begin wherever readiness and leadership exist and that the process will ultimately lead to and incorporate other related dimensions. The RSL framework serves as the basis for an array of initiatives and programs, including California Thursdays. 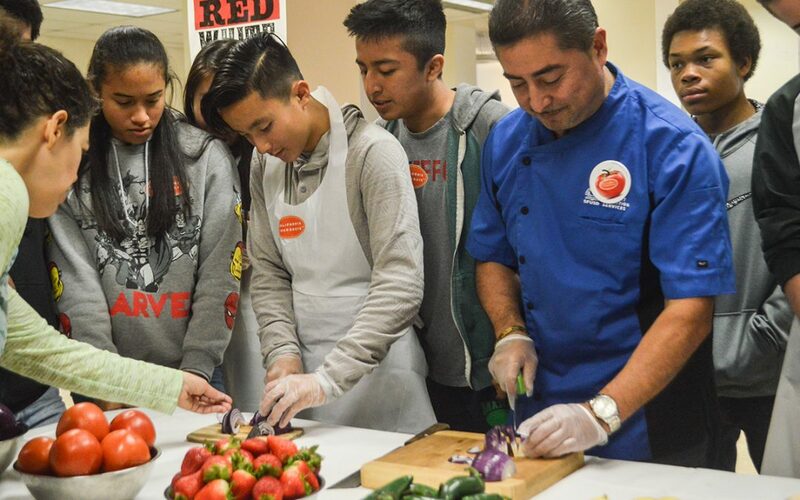 The California Thursdays program emerged with Oakland Unified School District (OUSD) in 2013 as part of a broader Rethinking School Lunch Oakland initiative. Anticipating the construction of a new central kitchen, the centerpiece of a board-approved investment to transition from predominantly heat-n-serve to freshly-prepared school meals, the Center and OUSD conceived a bite-size implementation strategy. The goal was to serve one freshly prepared meal and grow from there. It meant figuring out a scratch-cooked recipe that Oakland children would love, procuring fresh ingredients, teaching staff to prepare it, and even doing a bit of marketing to staff and students. The theory was that if it could be done once, perhaps it could be done once a week. It worked so well in Oakland, the Center conducted a statewide pilot California Thursdays program with a network of 15 school districts the following year. The network grew from 15 to 42 to 58 to 71 districts within three years. In addition to rapid scaling statewide, the program was also replicated as New York Thursdays (in New York City Public Schools) and Minnesota Thursdays (in Minneapolis Public Schools), with Nebraska Thursdays coming soon. In keeping with the RSL framework, the program offers a wide variety of free resources to school communities. 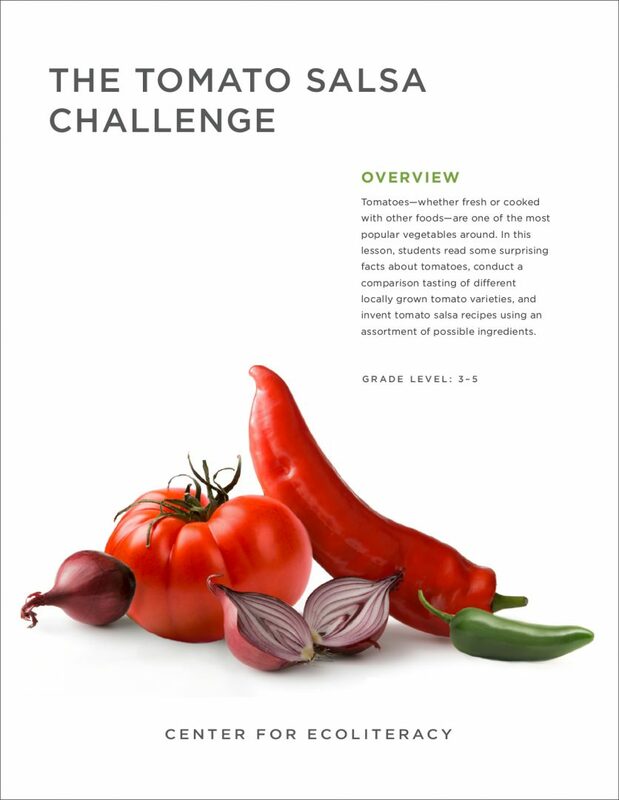 They include lessons and recipes, as the Abundant California suite demonstrates, as well as professional development tools, communications campaigns and collateral, parent-facing materials, and an online platform where food service directors can share best practices and sourcing recommendations. A key element of the program’s success is the network itself. 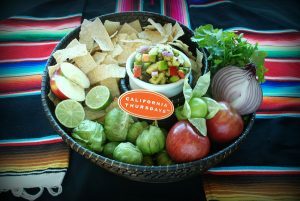 Statewide collective action events, like the Tomato Salsa Challenge, galvanize and activate the California Thursdays Network. When schools across the state participate, it results in tremendous teaching and learning opportunities, students excited about healthy food, educators and staff feeling inspired and supported, and even some local press coverage. Jennifer Gerard, the Center for Ecoliteracy’s program director for California Food for California Kids and a former food service director in Monterey, notes how food, culture, health, and the environment are neatly interwoven in the program. Is anyone else ready for some freshly baked pita chips to go with SFUSD’s colorful and zesty strawberry pico de gallo? Chris Smith is the Director of Development and External Relations at the Center for Ecoliteracy. A sustainability champion, nonprofit organizational strategist, and advocate for innovative public schools, Chris was on the founding team of the Marin School of Environmental Leadership. Prior to moving to the San Francisco Bay Area from New York City to serve as Artistic Director of the Magic Theatre, he cofounded the Obie Award-winning Youngblood company of young playwrights and the acclaimed EST/Sloan Foundation Science and Technology Project. Chris is a graduate of Brown University.